The Bird TLC Open House was a success. The day was sunny and full of visitors, new members and wild birds. 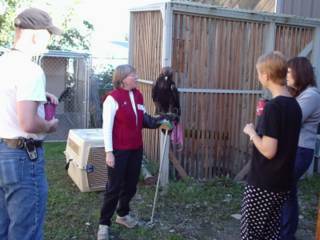 Presenters showed a bald eagle, golden eagle, American kestrel, magpie, northern goshawk and others. Our resident birds also got plenty of attention.